Remote Switching, Warning Device and Status Signal via DMR DMR is mostly used by the clients for emergency operations or pure voice radio. But at the same time DMR offers something special, which can be used for both: the existing infrastructure and a saving potential accomplished by solutions, which normally are achievable only with enormous investments when using conventional technology. 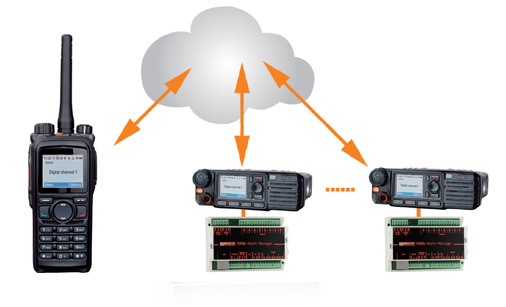 Defined short messages enable direct switching by a Hytera portable radio. Pre defined “text messages” switching commands can be realized by using a portable/mobile radio. Via the RADio Alarm Manager a defined short message will be sent to groups or single participants of mobile radio in case of a changing status of an input. 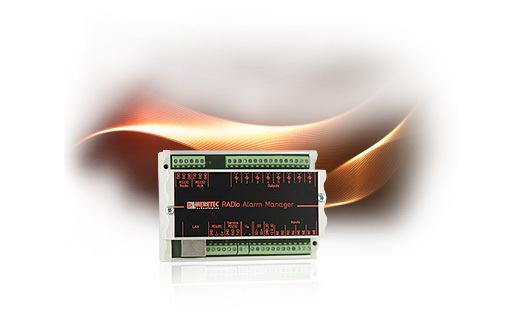 Monitoring emergency calls or Lone Worker offers new possibilities in your DMR network: In case of emergency the RADio Alarm Manger is able to switch up to 8 independent outputs - no matter if permanently or for a defined time. 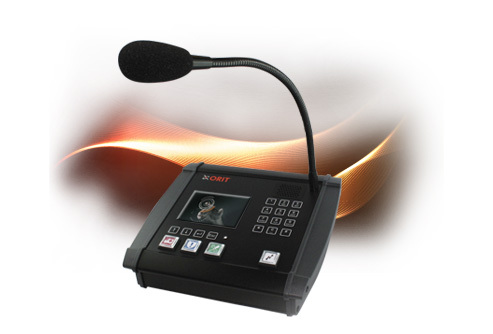 The connection to alarm or intercom systems enables the implementation of various emergency plans.